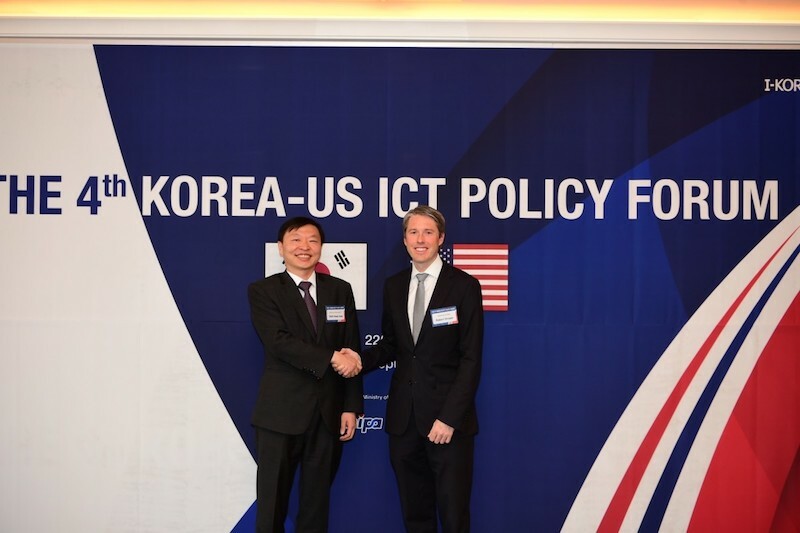 US ICT Policy Forum on 22 June at the Seoul Lotte Hotel. abreast of ICT trends in both countries. response in the era of the fourth industrial revolution”. improving quality of life based on “social problem solving”. foster more transparent global internet governance. infringements, as well as formulate joint responses to these issues. (APEC) Cross-Border Privacy Rules (CBPR) System. commercialisation of 5G mobile communications technology. of Telecom Policy at MSIT.